At the present time a lot of people don’t believe that time travel could be feasible, even some scientist doubt about this theory because they see that it would create a temporal paradox. The typical example is that of the grandfather paradox, However, time travelers have come to our present and they went by almost unnoticed. This behavior is completely coherent; if you were a time traveler surely you will keep your mouth shut. Who would believe you? Interlocutor: I understand, but I need to think about it, as we say here. There is a question that was left in the dark. To what extent can a time traveler go into the past? Eon: Just before the Big Bang, because the Singularity has a power so great that it would destroy any machine. In the Singularity there are billions of degrees Celsius temperature, and a condensed energy that would be much denser than a black hole. Interlocutor: obvious, then, a time traveler could not move to a previous universe. Eon: Of course not, because the barrier of the Singularity prevents him from doing so. In the Singularity the universe ends, or the universe begins, call them as you wish, and a time traveler can continuously be in a single universe and therefore he could not go to another previous or later one. Interlocutor: Are there time travelers close to the next Big Crunch? Specifically, could a time traveler, who is close to the next Big Crunch, be in 25 billion years? Eon: Yes, of course, since there would be no physical law that would prevent him. But, as I explained, it would have to be a time traveler who is centuries before such Singularity or Big Crunch takes place... tens of centuries before, because the Singularity does not happen all at once, but it will gradually be generated. Interlocutor: I have one last question about time travelers… What is the reason for their existence? EON: Time travelers have the function of correcting the altered facts, so that the original history, the primary channel, does not change. Interlocutor: But, why is it altered? Eon: Because although there is a history delineated, in its course some changes occurred with the creation of alternate universes, which later, with new decisions, were deactivated. The work of the time travelers, then, is that the original layout is not modified, so to call it. To understand this, you should not forget that for the Absolute, everything is an eternal present and therefore you have already lived that story. That original story is what must be preserved. I send you greetings to everyone. Interlocutor: Are travels into the future possible? I ask this because I understood that it’s only possible to travel into the past. Eon: The machines built here cannot go into the future, because the mechanics with which have been built prevents them from doing so. But it’s a mechanical failure of your technique, it's not physical. In other planets, I repeat, they have done it and they are already traveling in time, although in your world you will eventually get it, in the year 2,500. Interlocutor: Was it to these explanations that you referred at the end of the previous session when you said that you were going to give a blast to amaze our consultants? Eon: Of course, because the incarnated beings on the planet Earth have an incredible inferiority complex since they think that to be able to evolve they need help from beings of other planets, when you already have the evolving techniques that in other worlds don't even dream of Even, as I said, you are going to develop in the future the technique to travel to parallel universes. Eon: No, you are not the first. The technique that you developed is for traveling to the past and not toward the future, as it was achieved in other worlds. Interlocutor: Is there any advanced planet where all the inhabitants carry a small "trans-travel" that anyone who wishes could travel to the past or the future? I ask this because, for example, here we have a portable cellular phone that we can use to communicate with others without going to our homes or some special place. Eon: Yes, that happens in some worlds, but not all have that apparatus, just as not everyone has one of those mobile phones, since there are people of limited economic resources who do not even know what it is. Interlocutor: I was referring if somehow it was available to anyone to have them. Eon: Yes, and those who can access it, can travel through time. Interlocutor: Do those travelers make any chaos altering events? Eon: There are rules that must be respected. Interlocutor: And how do they do it so those rules are respected? Eon: There is what you would call "time police" to monitor that these rules are not violated. The most famous time traveler we know was Nostradamus although he was also a clandestine time traveler, other time travelers were David Lang, Kaspar Hauser, (John Titor and Andrew Carlssin were clandestine time travelers too) and the last one was Kronbus who contacted telepathically with Jorge Olguin in 1998. Ruanel: I clarify that time machines do not exist on Earth at the present time, but they exist in other planets. When time travelers go to the past they don’t make it through time but through space-time. It’s in this way because the Earth rotates an orbit around the Sun at 30 kilometers per second. Therefore, if you want to travel one year to the past. Actually not one year, because then you would be in the same place, but six months. Automatically the Earth would be on the other side of the Sun and you would be somewhere in the space because the Earth would be orbiting the sun on the other side. The time machine calculates by means of quantum physics so that you could be accompanying the rotation of the Earth, because the Earth orbits. Then if suddenly the Earth is here, two hours ago it was not here, because at a speed of 30 kilometers per second is obvious that the Earth was in another place. That is to say, if you traveled through time and not through space-time, you would appear in an empty place, without Earth, because when you arrive there, the planet would be already in another place due to its rotation. I repeat, then, because this is very important, time machines travel through space-time, and the scientists calculate well, by means of sophisticated computers, the place where the time traveler will appear at. With the nadis there are no calculations. Then, suddenly, if a person flashes, he will accompany space-time, because the nadis also accompany the space-time, but as they don't have an exact calculation because that transfer is a non intelligent event, the person can be materialized inside a mountain or at two meters underground if there was a landslide and automatically that person will be shattered and as a result he no longer returns to his present. Interlocutor: Interesting, I would have never imagined it. Ruanel: But what I say is common sense! On the other hand time travelers can go back several thousands of years in time and calculate with accuracy the place in which they will appear, for example a flat surface, so it doesn't represent any risk to them. 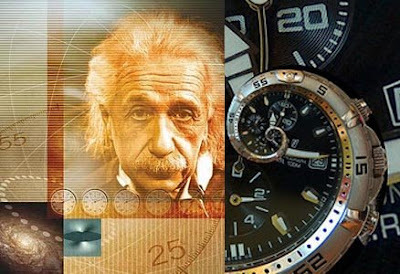 Interlocutor: I suppose that you are referring to “official” time travelers, because clandestine time travelers who steal those machines and travel to the past, I don't believe that they are prepared to make precise calculations to be completely free of risk. Ruanel: There have been time travelers, as you call “clandestine” who had accidents of this nature and they have died crushed. This entry was posted at Tuesday, August 04, 2009 and is filed under Paradigms . You can follow any responses to this entry through the .